Status: The trip is wait-listed. If interested, please feel free to register, and then the trip leader will then reach out to you, but do not attempt to make a payment. Price shown includes round-trip air; lift tickets not included in package. Option for 3-night post-trip extension in Zürich ($470). The largest ski resort in Switzerland and the highest city in Europe, Davos encompasses five separate ski areas spread out on both sides of the valley, any one of which would be considered big by American standards. With descents from almost 9,000 feet, Davos offers an endless variety of terrain. The Parsenn cograil bahn, right out of Davos Dorf, has increased speed and capacity to give access to the largest ski domain in the region. In addition, this multifaceted winter sports complex offers miles of cross-country trails, tobogganing, sleigh rides and skating on Europe’s largest outdoor rink. Our trip includes 7 nights (Sat-Sat) in the 4-star Central Sporthotel with full daily breakfast buffet & four-course dinners. RT air on United from Washington Dulles (IAD) to Zurich (details below). Welcome drink upon arrival, entry into the hotel's wellness area (indoor swimming pool, saunas, steam baths, and exercise room), free WiFi, and the guest pass Davos Klosters which includes free transport on the local buses, as well as the rail from Filisur to Klosters Dorf. Lift tickets not included. Listed cost is for double occupancy in a standard double room. 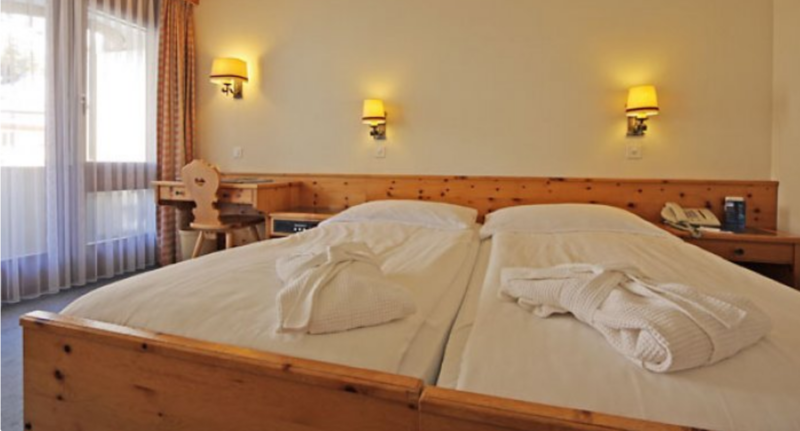 A limited number of single rooms may be available; request when registering and the trip leader will confirm availability and cost, and make an adjustment to your invoice if you can be confirmed. A family-owned and operated hotel for generations, the Central Sporthotel has a worldwide reputation for its warm hospitality, excellent restaurants, and enchanting atmosphere of ease and elegance. 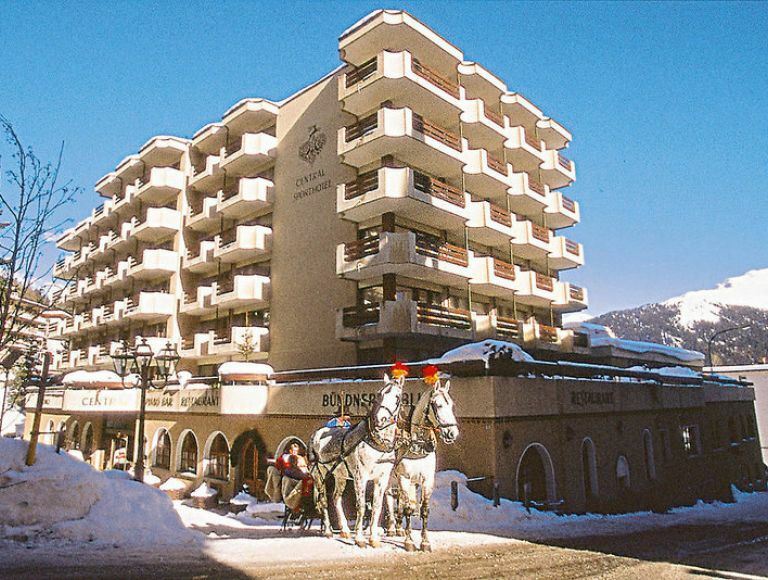 Perfectly located in the heart of Davos Platz, it's just a 2-minute walk to the Promenade, Davos' lovely shopping avenue with lots of shops, cafes, and bars. The Valley stations of Schatzalpbahn and the Jakobshornbahn (ski areas) can be reached within a 5-minute walk. The sports center, the ice stadium, and the convention center are also just a short walk away. The hotel's spa has an indoor swimming pool, a Finnish and Bio Sauna, a steam bath, and a small exercise room; massage and solarium are available for an extra charge. 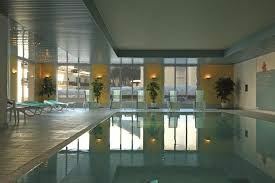 Three nights (Sat, Sun, Mon) in the 3-star Leoneck Swiss Hotel in Zürich, with daily breakfast. Over the last fifteen years, Zürich has truly become a fascinating and worthwhile travel destination. Located in north-central Switzerland at the northwestern tip of Lake Zürich, it’s the largest city in the country. The city is well known for a demanding audience in opera/ballet, classical concerts, and theater. You’ll find more than 50 museums and over 100 galleries in the inner city. Plenty of attractions to keep us busy for a few days and nights. Check out some of the offerings listed on Wiki Travel. Our hotel is decorated in a fancy ethnic design and is located at a prime location in the center of Zürich, just a 6-minute walk from the Bahnhofstrasse train station. Amenities include flat-screen TVs, minibars with complimentary water, desks, safes, hairdryers, a kettle with coffee and tea, and high-speed WiFi. Saturday morning (Feb 2) our bus from Davos will drop those returning to the U.S. at the Zürich airport, and will then take us to our hotel. Since we can't expect our rooms to be ready so early in the day, we've arranged a city tour of Zürich (with bus and guide) and a guided walking tour of the city's old town. Tuesday morning (Feb 5) we'll be bused to the airport for our flight home.